The most basic food is bread. It symbolizes life, livelihood and home. On this public holiday, we express what bread means as well. Traditionally, after the harvest, the first bread of the new wheat was baked on St. Stephen's Day. Since it was possible to bake new wheat for the first time in August, the month is also called the new bread of the month. On this day, harvesting ceremonies are being held nationwide, where at the end of the harvest, the harvesters traditionally made a berry or wheat coat of wheat sprouts and field flowers and presented them to their landlords. They ate, drank and danced. Each year at the St. Stephen's Day Bread Competition, it is decided which bread deserves the award to become the first bread of the country. 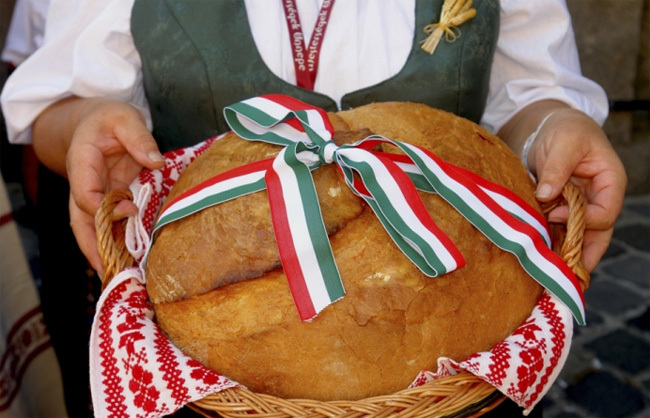 The Hungarian Baker Association has been or-ganizing the competition since 2011, where a jury of experts decide which will be the one at the New Bread Celebration. This year, they announced competition in three categories: best wheat, best rye and innovative bread titles.The bread itself should be natural, healthy, without additives, it should have a per-fect texture, taste and smell, thick skin and longevity. 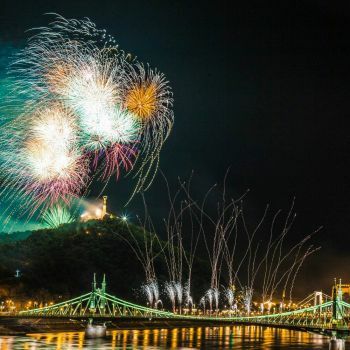 On the 10th of August, József Septe, President of the Hungarian Baker's Association, an-nounced that the the winner of the wheat bread category of the competition is the Kurdi Family Ltd., and the name of the bread is Görböc bread. 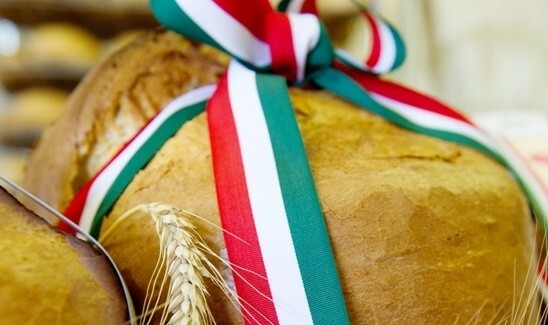 This St. Stephen's Day Bread can be tasted for the first time at the the street of Hungarian fla-vours.